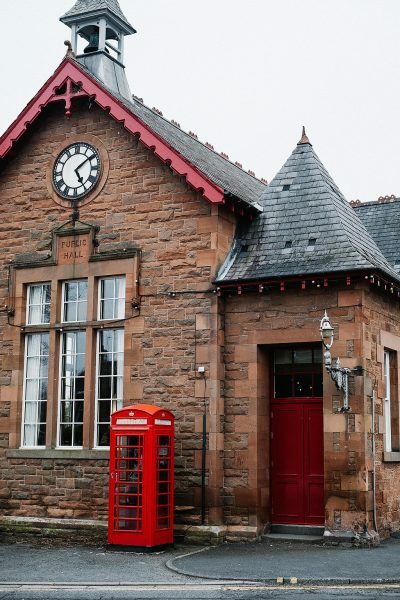 Scotland Shop is the brainchild of Anna White and based in Duns in the Scottish Borders. 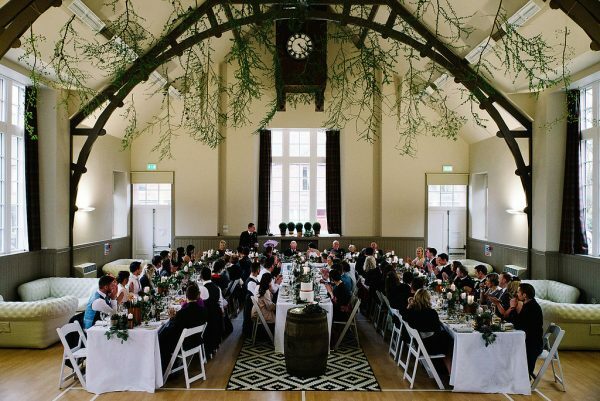 We were fortunate enough to collaborate with Anna recently on a series of inspirational photo shoots at special wedding venues in the Scottish Borders with the aim of promoting the use of tartan for weddings – and tartan a contemporary twist. 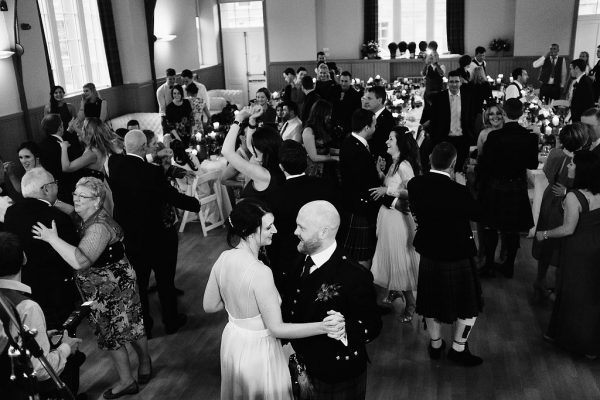 Here at Get Knotted HQ we are just starting to draw breath after a busy summer of Scottish Weddings here in the Scottish Borders and further afield. Our prop hire department has been going like a fair and this season it has been all about glass jars. Apothecary jars to some, sweetie jars to others – to us the perfect prop for creating pretty floral arrangements. From a stylist’s point of view the beauty of this kind of prop is the versatility that these jars offer. 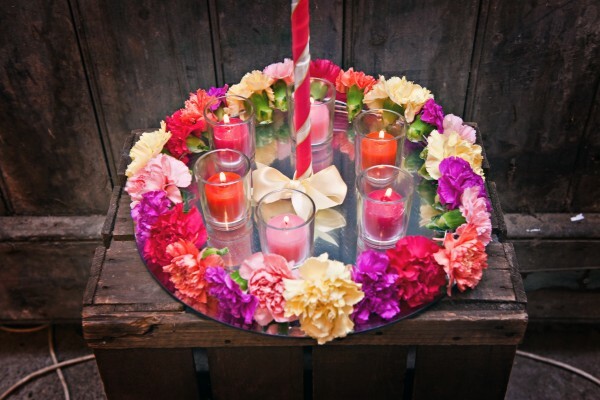 They come in all shapes and sizes and you can use them with or without their lids to create a wonderful display with varying height and contrasting angles to show off flowers and greenery to their best potential. 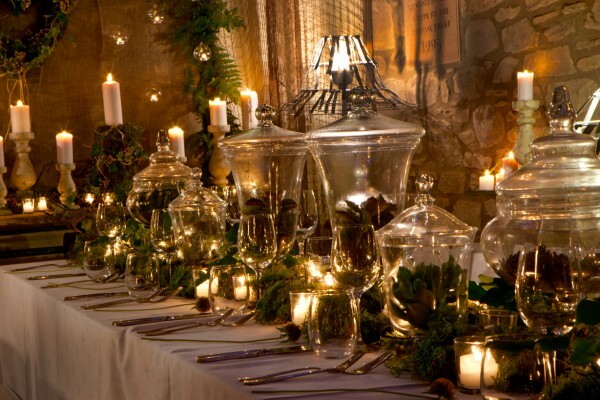 The beauty of glass is the way it reflects the light so apothecary jars as a prop come in to their own when you add candles. 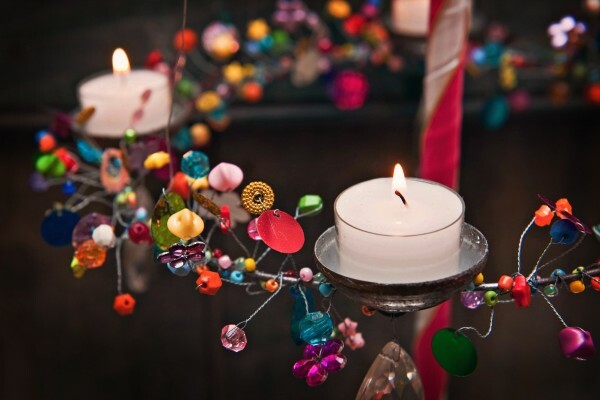 A simple tea light placed in a plain holder can bring an arrangement of jars to life by providing very simple up-lighting. 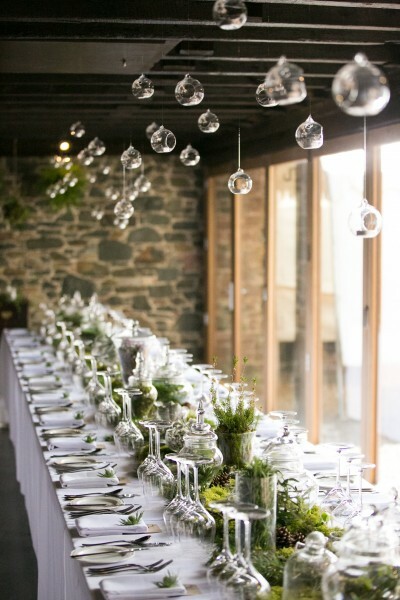 And glassware needn’t be restricted to table arrangements; we love using our hanging glass baubles to bring down a ceiling, and with tea lights twinkling inside them they create a magical feel. Two of our very favourite Scottish weddings this summer have majored on apothecary jars as props to create the style and feel the bride and groom wanted for their reception. At Aikwood Tower near Selkirk we were able to use a combination of greenery and glassware to create this natural rustic look which complimented the Cart Shed surroundings perfectly and created a lovely romantic feel to the room. At a marquee wedding at The Roxburghe Hotel near Kelso we used more than 100 glass apothecary jars to showcase seasonal flower arrangements. 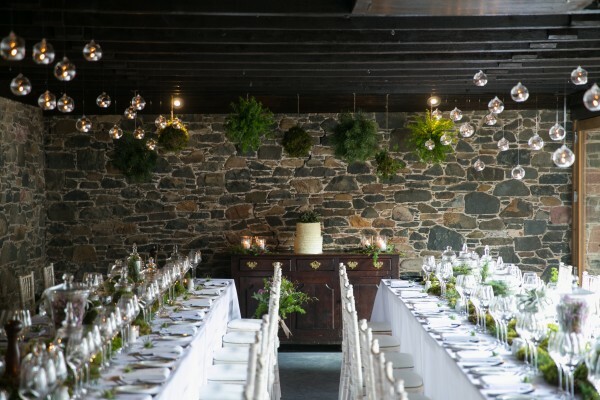 Using different shaped glass jars, moss, candles and an array of hedgerow inspired flowers, fruits and berries as well as succulents and velvety roses the tables looked absolutely breath-taking. Roses nestled inside the lids of some of the apothecary jars looked just sublime. 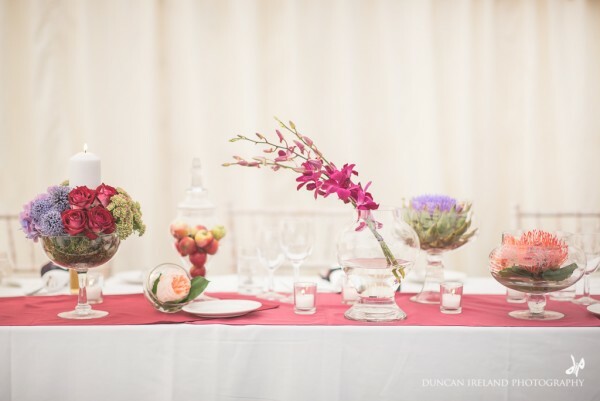 Thanks to Sarah White Photography, Aikman Smith Photography & Duncan Ireland Photography for these wonderful images. You knew we had a new website, right? 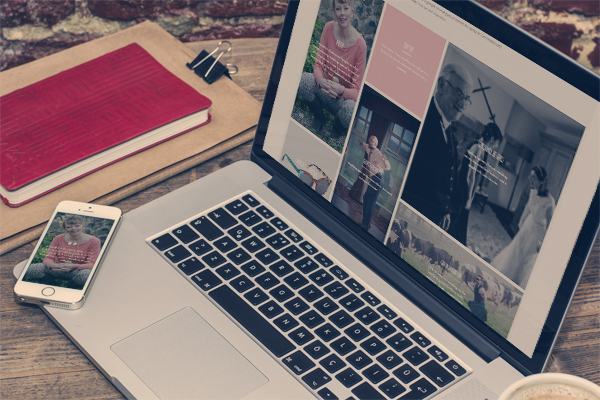 For those that missed it, we have been working hard behind the scenes to make our website even more fun to browse, easier to get around, and full of wedding styling inspiration. Anyway, enough of that, you’ve got a wedding to plan. 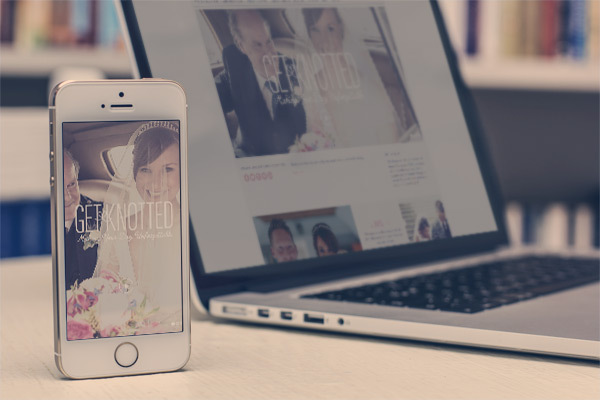 Here are 5 things we think you’ll love about our new wedding planning website. 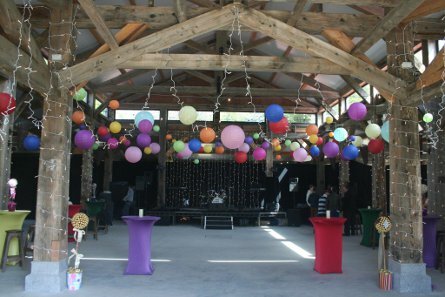 Our styling video illustrates the preparations, build up and final results at two contrasting locations with very different themes. 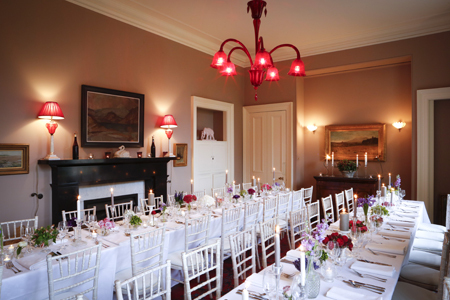 An elegant country house and a small riverside barn. The team worked alongside talented young film maker, Gabriel Greenough. 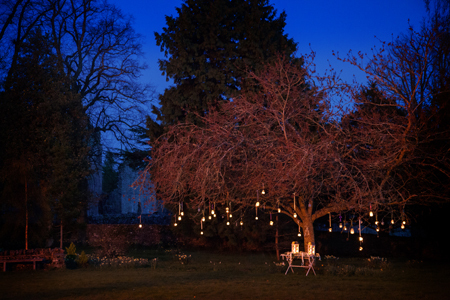 Fantastic stills images were also taken by Alex Aikman Smith of AikmanSmithPhotography. #2 New styling galleries which you can browse for inspiration and share on Pinterest. 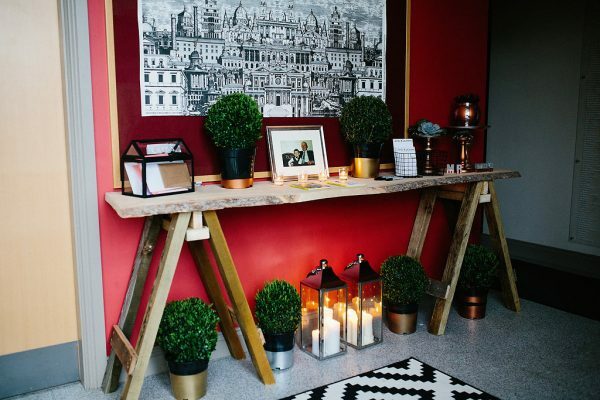 The galleries, which are in the form of mood boards, feature some of the wonderful couples we have had the pleasure of working with and show the venues in all their wedding day glory. Some light-hearted moments with lovely people, top tips, current trends and Lindsey’s ‘essentials’ that she cannot survive without! In case you’ve missed an issue or two! 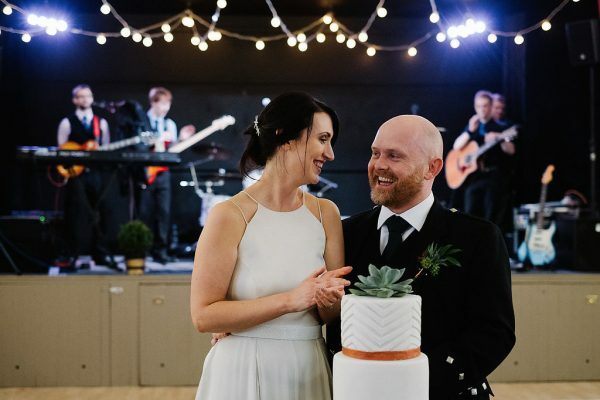 We are regularly featured in the press including Wedding Flowers & Accessories Magazine, Best Scottish Weddings, The Scottish Wedding Directory, Mollie Makes and Perfect Wedding. 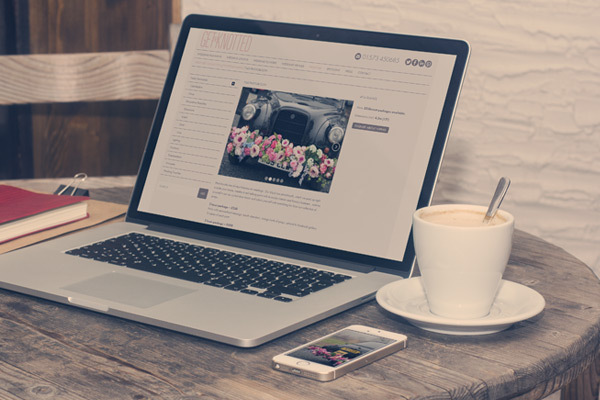 We have also featured in a range of online blogs. Watch out for more in the coming months. Finally, some thank you’s. To Tom Payne at Fullscreen and Viv Seeley at Vivid Design for all their hard work and enthusiasm which made the whole process fascinating and great fun! To Jules Horne at Texthouse and also to Sandra Campbell at Business Gateway for her support, advice and guidance. 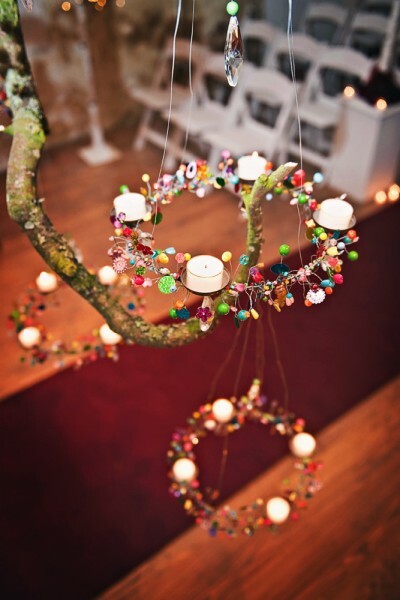 When you are planning your wedding, every little detail you see in magazines or shops inspires you. Of course, you cannot have everything. 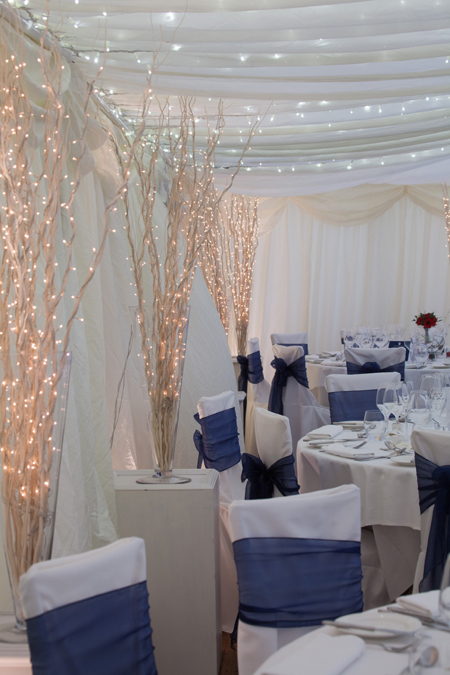 We would like to share some of our top styling details to make sure your venue looks as stunning as you do. 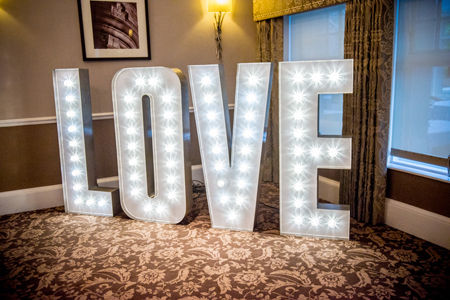 Love – there are many ‘LOVE’ details available, so why not go big and have a love sign as a feature at your wedding reception. 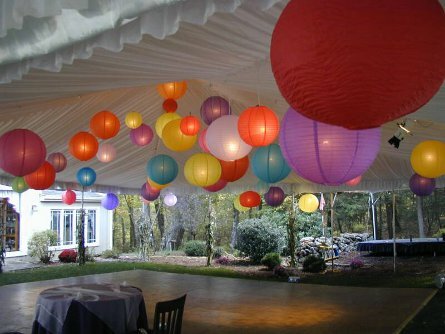 These look great in the corner of a function suite or outside on the lawn. 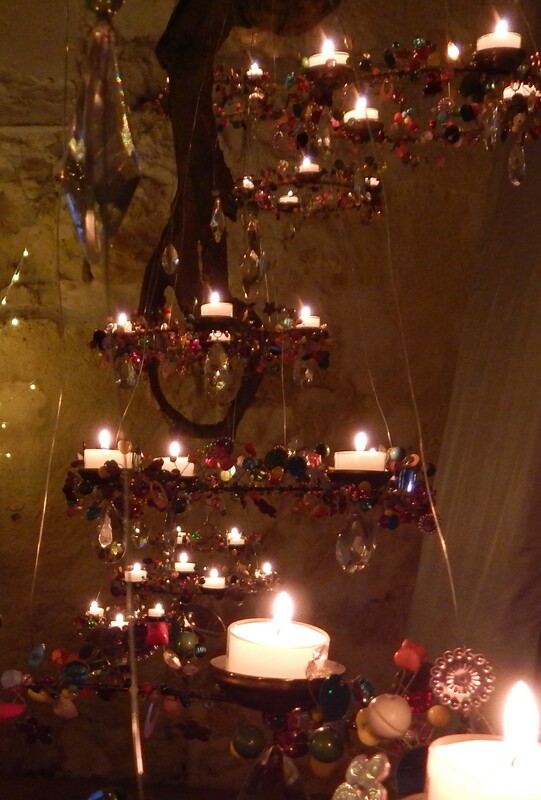 The delicate lighting is perfect to set the mood. 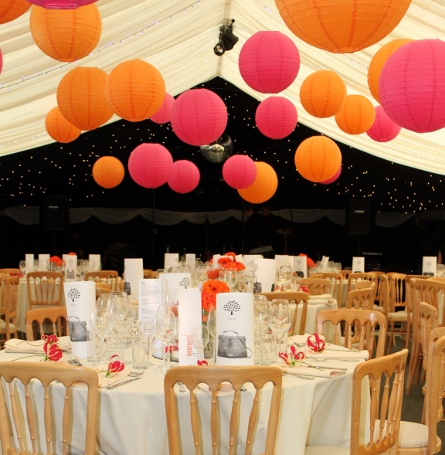 Take a seat – forget about chair covers to hide tired out venue chairs and choose white folding chairs. With their clean and simple shape, these chairs look great in a rustic or rural setting. 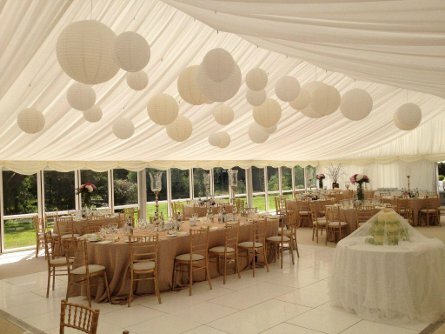 Set them up in rows for a traditional look or in a curve for a more dramatic effect. Add your own personality by placing details on the back or making your own seat covers. Twinkle Twinkle – twilight lighting is perfect for that subtle touch of light. Place them outside a marquee to soften the entrance or place around your venue to add a rustic feel. 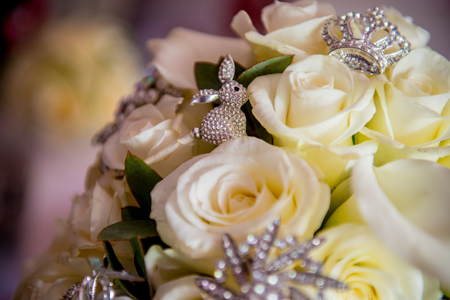 Glamour – add a touch of glamour to your bouquet by including some sparkly brooches. 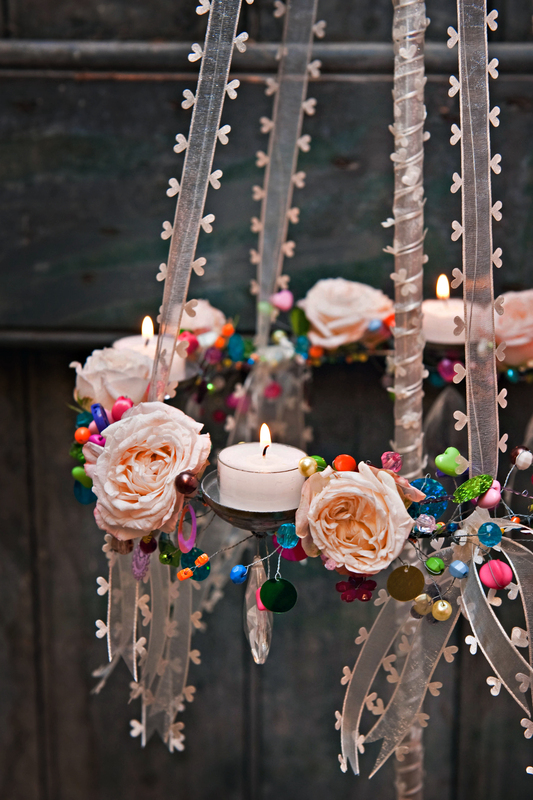 These will glimmer under lights, enhancing your beautiful fresh flowers. 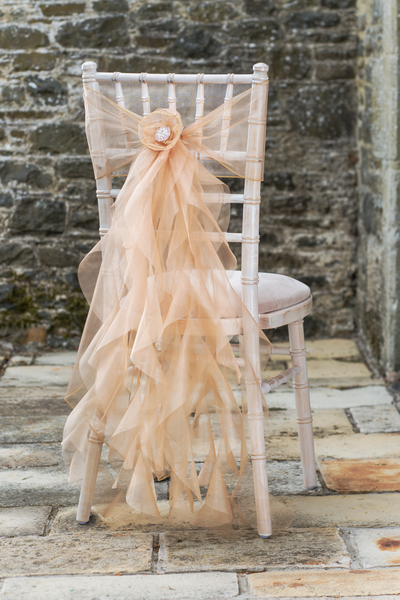 Why not add brooches as your something old or borrowed and include family heirlooms to an extra special touch. Trees – trees look pretty when adorned with flowers and candles in jars. 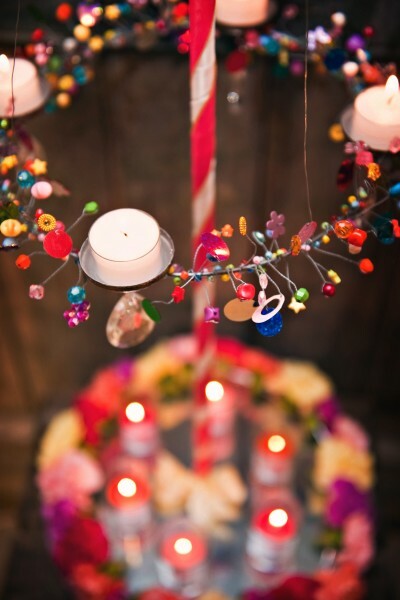 Collect jars of all sizes, place candles inside and tie to tree branches with some ribbon, raffia or string. 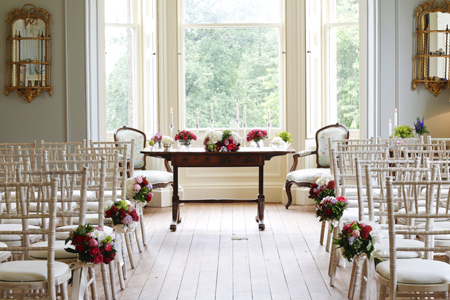 Colour splash – dress up plain chairs with bold coloured hand-tied bouquets by placing them on chairs down the aisle for a simple, elegant look. 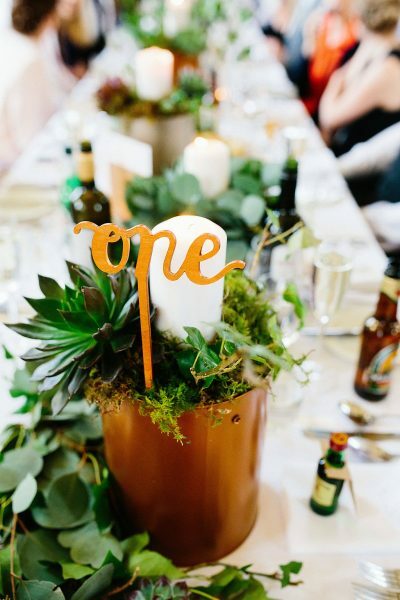 Bold details – if you are getting married in a venue, which already has some bold statement furnishings, use them to your advantage by adding smaller details with block colours to match or contrast and add some candle sticks to reflect the colour onto white table clothes. 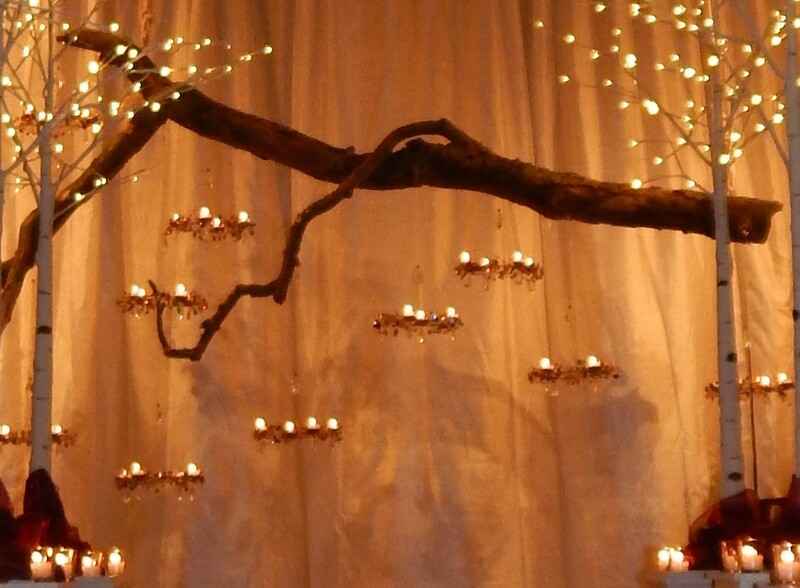 For more information and styling ideas, please visit www.get-knotted.net or call us on 0791 2200365 to discuss styling your wedding or event. 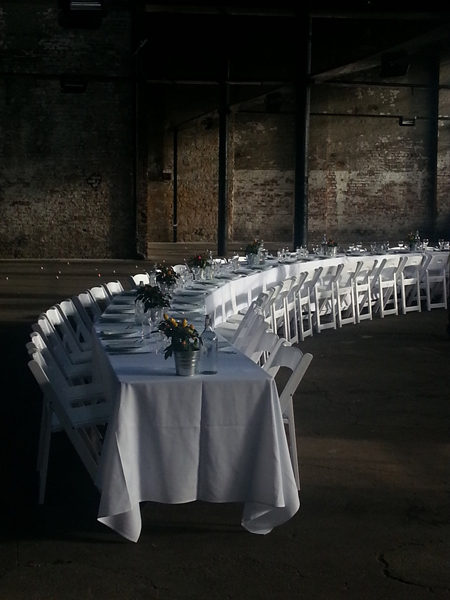 We were really excited to see these fantastic images of our white folding chairs which have been used by EAT NewcastleGateshead recently. EAT NewcastleGateshead was established in 2007 by NewcastleGateshead Initiative. It’s a regional festival with a strong national reputation for innovation and excellence that celebrates the many ways in which good food can enhance our lives. 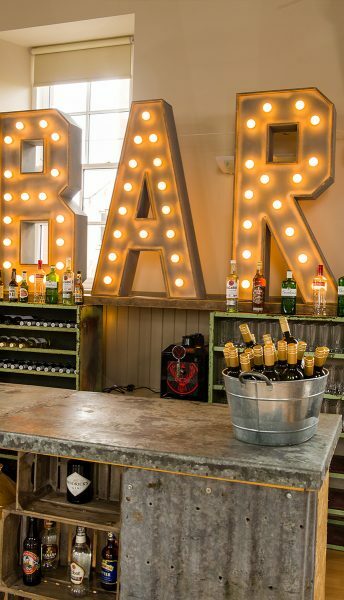 EAT uses quirky and different locations to host its ‘Naked Feasts’ and just look at the results. Our chairs look really crisp and clean in warehouse settings. Great food and conversation – it’s what life is all about. Totally different – sun-drenched and rain-soaked Naked Feasts on the Swing Bridge with 4 top local chefs and sponsors, Port of Tyne. Pictures courtesy of Rich Kenworthy. Wow, how quick has the summer gone! 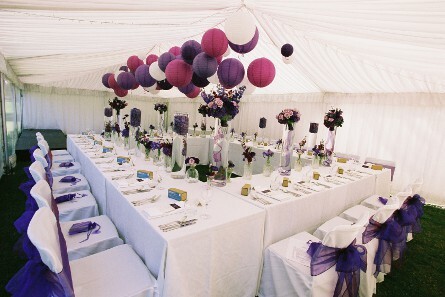 We’ve been very busy with weddings, planning, flowers, photo shoots and more. 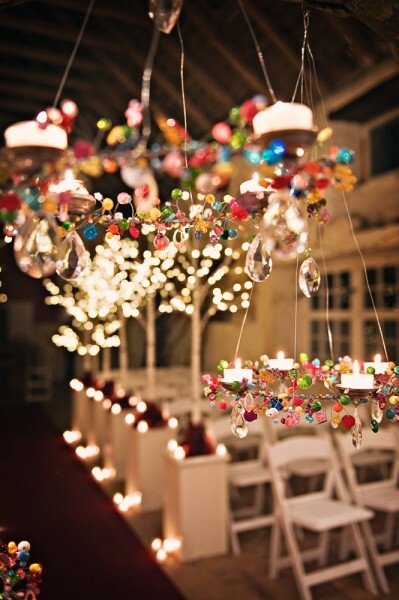 Many couples ask themselves whether or not they need a wedding planner. 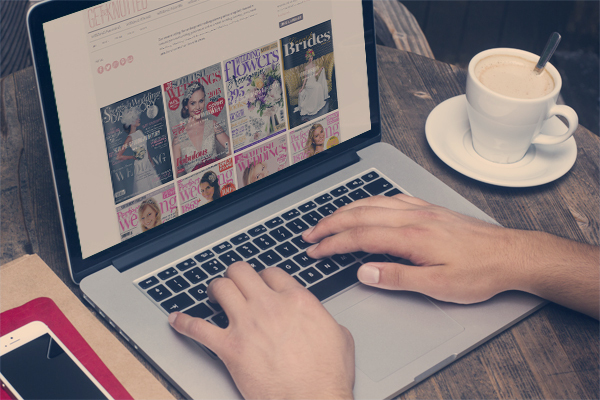 We wrote an article, featured on Wedding Ideas Magazine’s website, explaining how a wedding planner can make your day better. If you are undecided, have a read here. This was also featured on bride the wedding site. 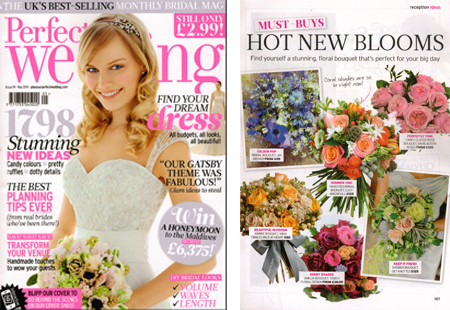 A beautiful peach, green and cream shower bouquet was featured in the May issue of Perfect Wedding Magazine. 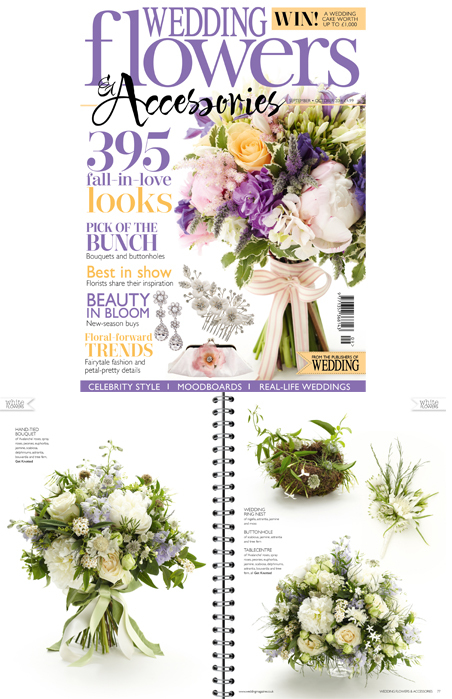 We made a romantic necklace from Pepita roses and Hypericum berries for a photo shoot and this was featured in the August/September issue of Wedding Magazine. 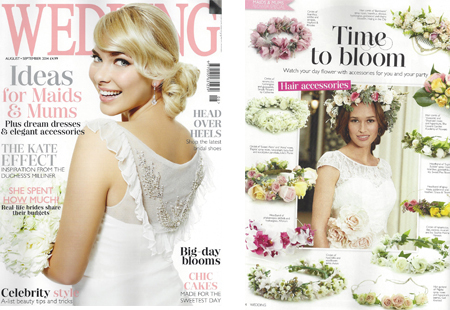 We were very excited when we were invited down to London for a photo shoot on white flowers. We made a hand-tied bouquet, a wedding ring nest, a delicate buttonhole and a pretty table centre. 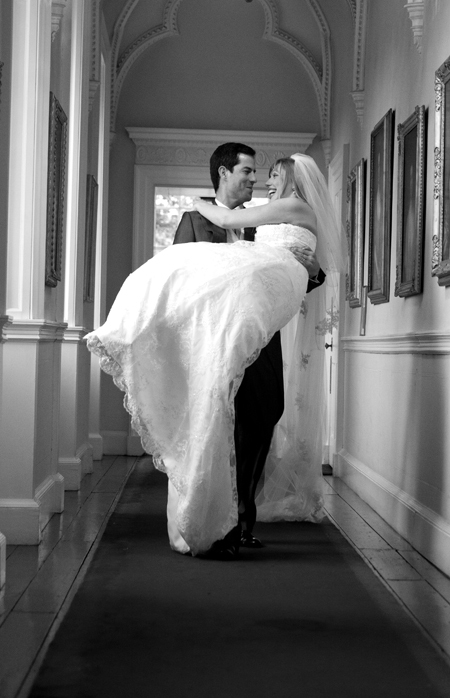 The Best Scottish Weddings Magazine regularly features us. We have been asked to do a number of photo shoots this summer as well. 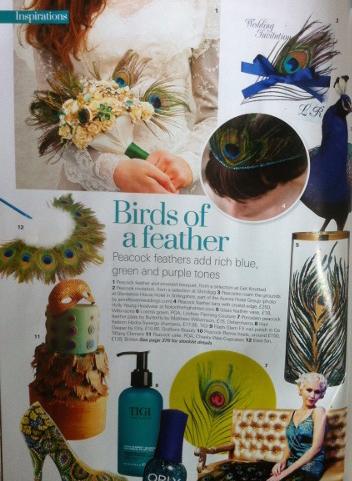 The birds of a feather feature in the Spring issue, included our peacock feathers and emerald green bouquet. 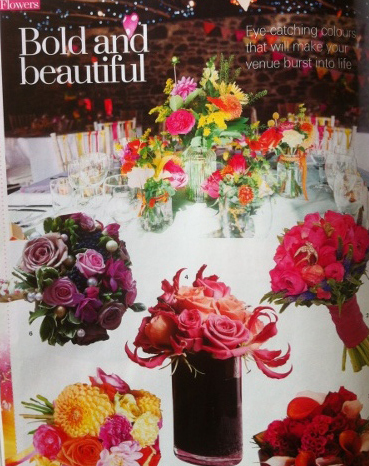 As well as the peacock bouquet, Best Scottish Weddings Magazine also featured some of our styling images as the main image in their bold and beautiful page. With a tropical theme, the lovely magazine, Cornish Brides featured a display of flowers in our cups and saucers, which are available to hire. They also mentioned the cups and saucers in their ‘and finally…’ page. There is plenty more coming up, so keep your eyes peeled. 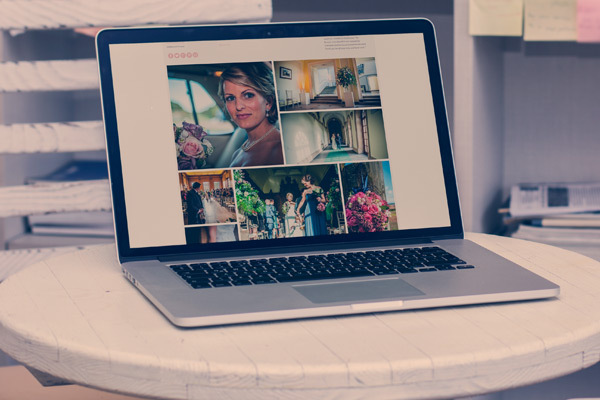 If you would like to have your wedding featured on the wedding blogs or in magazines, please let us know and we will put you in touch with them – don’t forget to mention us! Please email Lindsey on Lindsey@get-knotted.net.